Our Bob Lee Bows ship with a 16-strand Dynaflight 97, Flemish-Twist bow string with #4 nylon serving material, but if you find yourself in need of a replacement string or just want to have an extra one on-hand, these are our recommended strings to ensure optimal performance and protection for your bow. Accurate string length is critical. Your bow's AMO (Archery Manufacturer and Merchant's Organization) length is marked on its lower limb. To achieve the correct brace height you will need to use a bowstring of the same AMO length. (Example: An AMO 62” bow requires an AMO 62” string). 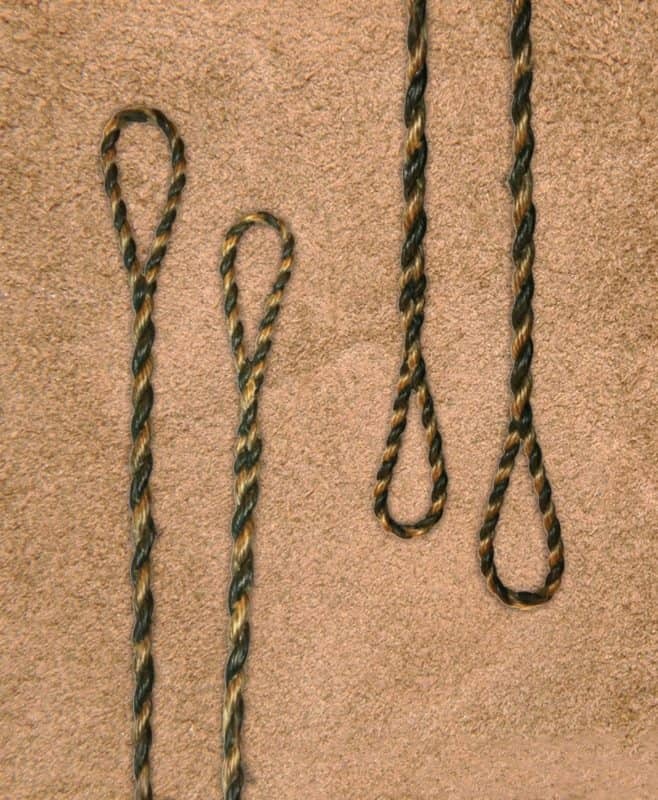 The actual length of the bowstring you receive will be 3.5”-5” shorter than its marked AMO length.